"From tiny acorns mighty oaks do grow"
My etsy shop is now up and running (link here). I have worked so hard on this and I'm so unbelievably proud of myself for doing this. 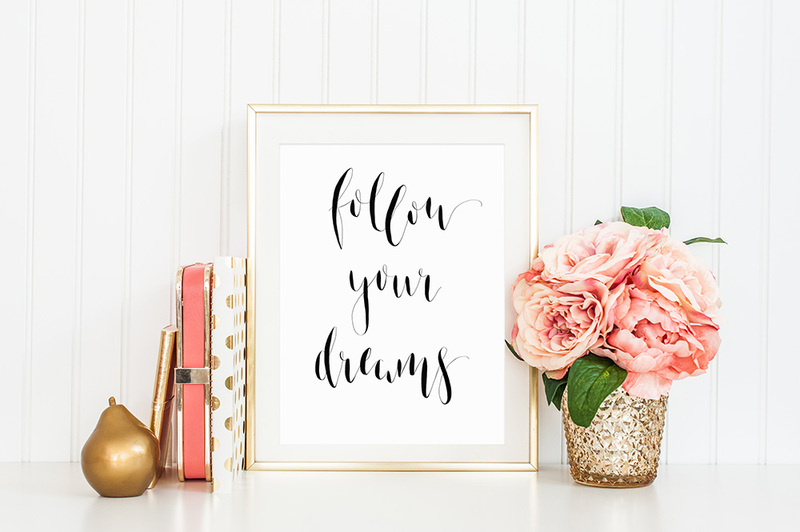 What started 18 months ago as me dusting off my calligraphy pen and brushing up on my lettering skills has developed into something rather wonderful resulting in me starting a little side line and opening an etsy shop. If you follow me on snapchat (username kellycpeel) you will have seen me pondering doing this for months, talking about my hopes and dreams but feeling too scared to do anything about it. I had so much self doubt whether I was good enough to do this but after a lot of hard work and dedication here we are. There was so much more involved than I anticipated, researching printers, different types of papers, designing my logo, learning photoshop, figuring out how to sell on etsy. I work full time in a demanding office job and I've been working on my shop on my lunch break, after work and weekends. But the hard work is now done and I'm really happy to be sharing this new adventure with you all. There are 5 prints in the shop at the moment with an option for a custom print. Now that the shop is all sorted I will have lots more time to get back to doing the part I love the most and that is creating the prints. When I am doing my calligraphy and hand lettering time stands still. One Saturday I had breakfast then sat working on hand lettered prints all day without eating, drinking anything until 7pm. I didn't even realise the time until I noticed it was getting dark. I would absolutely love it if you could head over to my little shop and have a look around and give me any feedback or idea's for prints that you would like to see. If you could also share my tweets I would be eternally grateful. Who knows where this will lead - I'm already so proud of myself for what I've achieved so far and I have such big dreams. Over the coming months I will be adding hand lettered wedding envelopes to the shop as well as designing hand lettered blog logos and whatever I earn from selling my prints will be reinvested so I can start holding modern calligraphy workshops. If you believe it you can achieve it and I hope you all have the courage to follow your dreams.